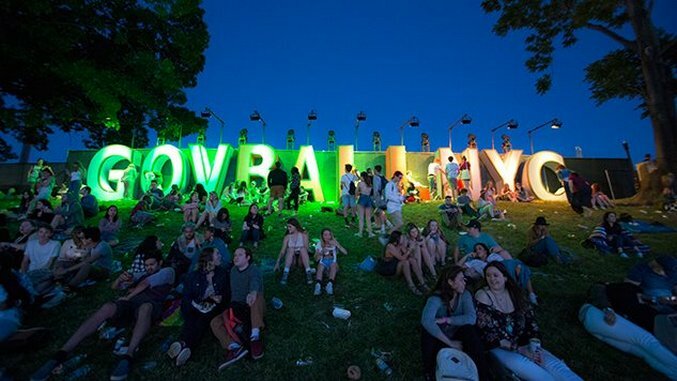 The Governors Ball Music Festival kicked off its seventh year yesterday, held on Randall’s Island Park in New York City. Paste poured into the fest along with more than 40,000 concertgoers, taking the Manhattan Ferry on the East River. We were first treated to Charles Bradley’s outstanding set, one of the first since his successful completion of stomach cancer treatment. The soul icon was in top form and the crowd adored every second from the Daptone veteran. Swedish dance-pop upstart Tove Lo ignited a sensual set (including multiple junk grabs), pulling multiple tracks from 2016’s Lady Wood. Paste met eclectic singer and rapper Michael Blume backstage and snapped a portrait, then headed to the Big Apple stage for Michael Kiwanuka’s master class in everything; The British crooner’s delivery and presence are impeccable. As the sun started to set, Lorde took the main stage and played a few songs from her 2013 release Pure Heroine before inviting Bleachers frontman Jack Antonoff—the co-producer of her upcoming album Melodrama—onstage. Shortly after downing some avocado and white cheese sandwiches from Café Habana, we received word that headliner Chance the Rapper wasn’t allowing pit access. But check back tomorrow when we’ll have photos from Governors Ball day two with Phoenix, Childish Gambino and more.